In this edition of Uncut, Mark riffs on teachers using technology, just to say that they are integrating technology in their classrooms. Telling kids to type an essay in a Google Doc just so they can say they're teaching with tech, only to have the students print the essay, is not creative technology integration. 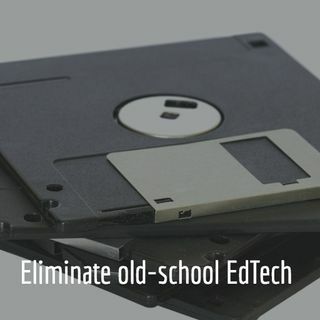 It's time to eliminate old-school EdTech, Mark says, in addition to sharing a cool new intro and outro of Hack Learning Uncut. Subscribe to the podcast and never miss an episode (only subscribers automatically receive Uncut episodes). Visit http://hacklearningpodcast.com to subscribe and listen to archived episodes. Download the app at http://hacklearningapp.com. How are you using technology in your space?